Global streaming giant, Netflix had struck a long-term relationship with Bollywood megastar Shah Rukh Khan’s production house Red Chillies Entertainment in 2016. Right now, Red Chillies Entertainment produced movies are exclusively streaming on Netflix. 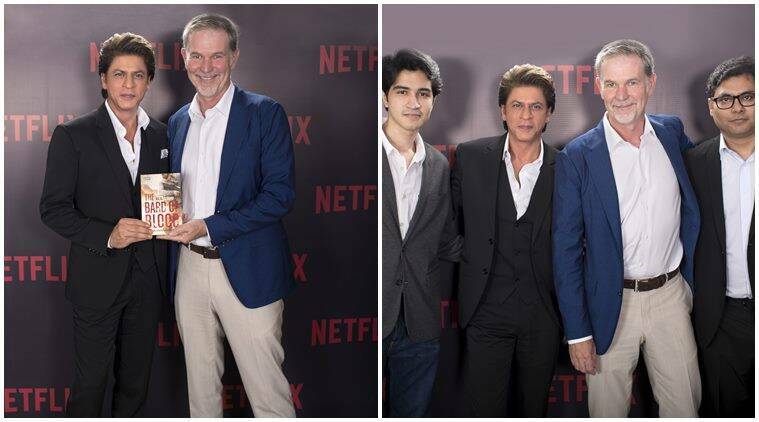 Yesterday Red Chillies and Netflix announced teaming up to produce eight-episode political espionage series “Bard of Blood.” Based on the bestselling 2015 book of the same name by Bilal Siddiqi, the multilingual series, in Urdu, English, Hindi and other languages, is set in the Indian subcontinent. The plot follows a young Shakespeare professor living in the Indian hill station Panchgani who must return home to save both his country and the woman he left behind.The series will feature intricate, highly stylized action sequences. The protagonist will be forced to confront his deadliest foes in a race against time. We are excited as hell and waiting forward to witness the magic brought about by the collaboration of Netflix and Red Chillies.